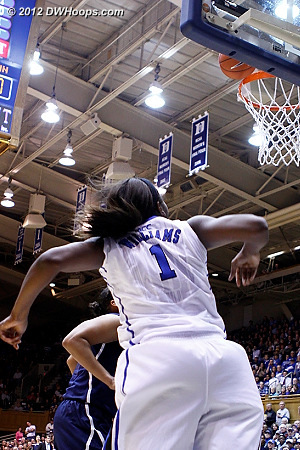 Today's photo gallery features 122 public photos plus 100 more members' only shots. 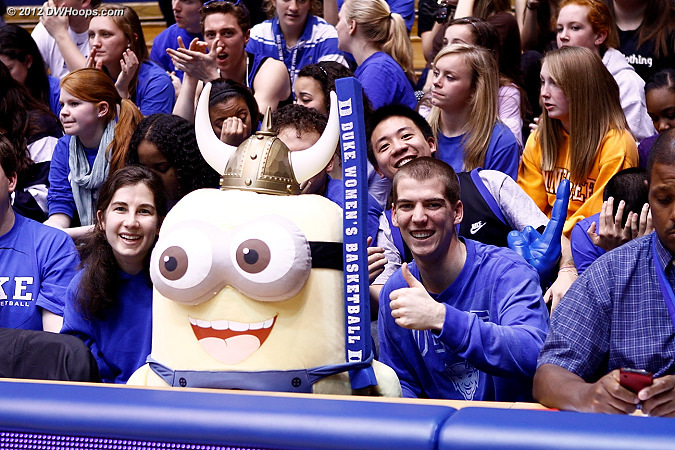 DWHoops is a member supported site, so if you enjoy our work we encourage you to join today. 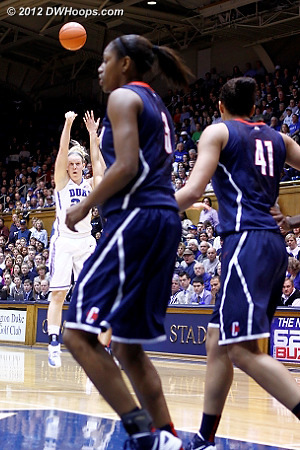 A wide open Chelsea Gray hits a three, and Duke leads 5-4. 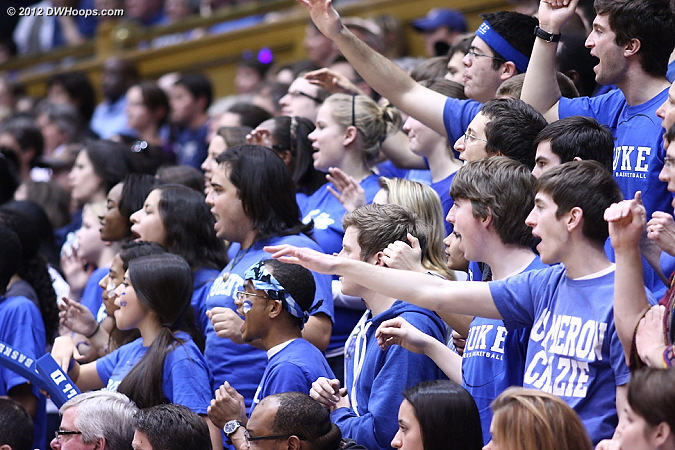 A very nice student crowd tonight! 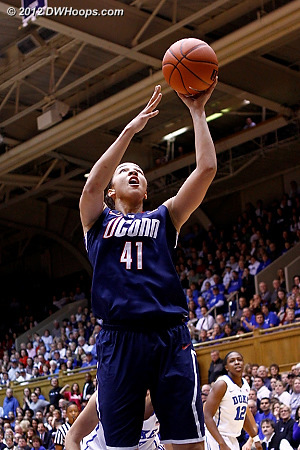 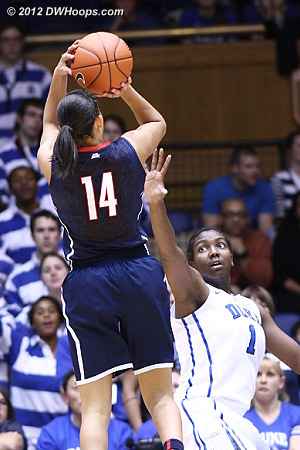 Gray hits her third three pointer to make it 19-15 UConn. 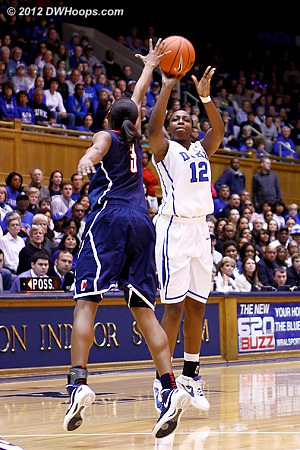 She would only have four more points the rest of the way. 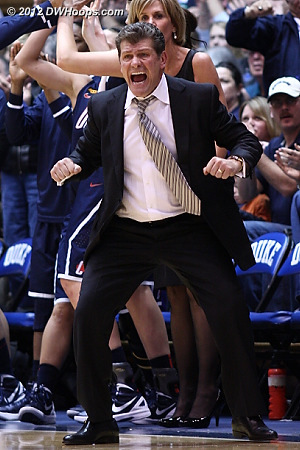 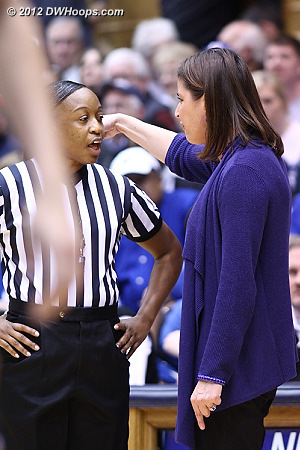 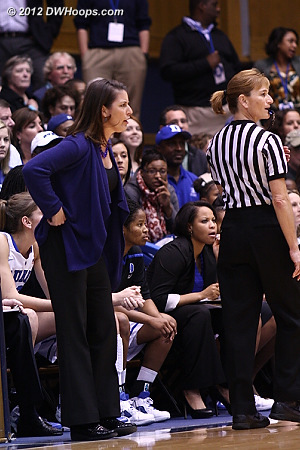 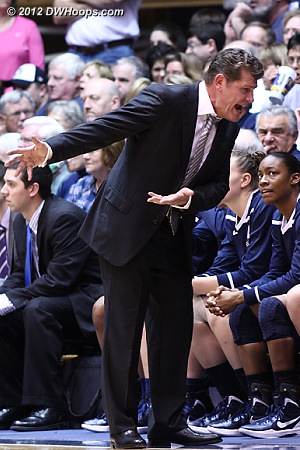 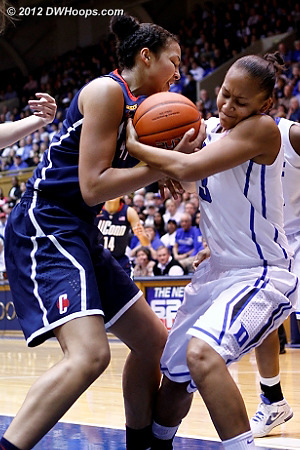 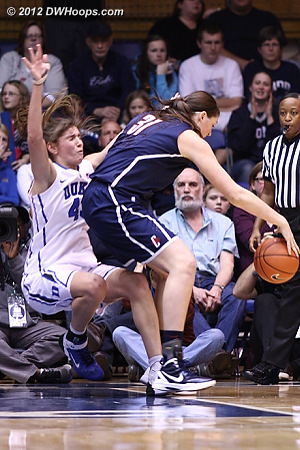 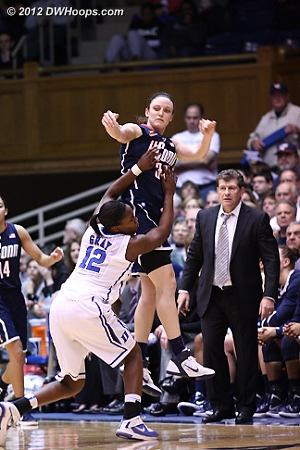 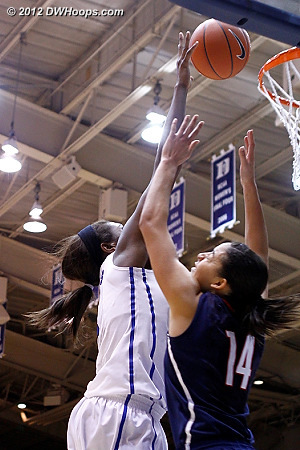 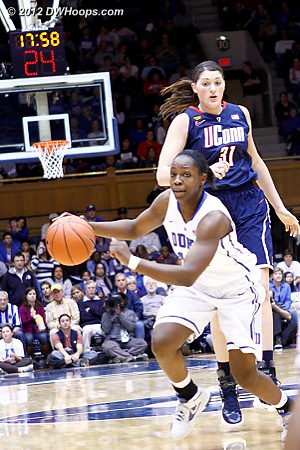 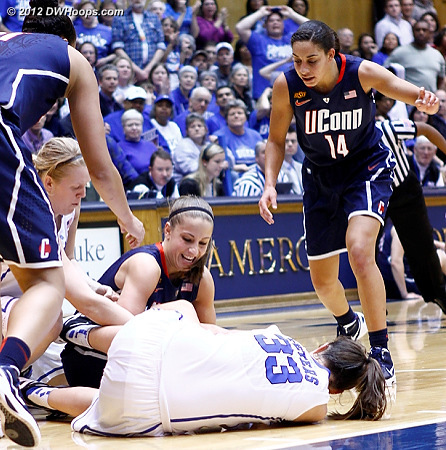 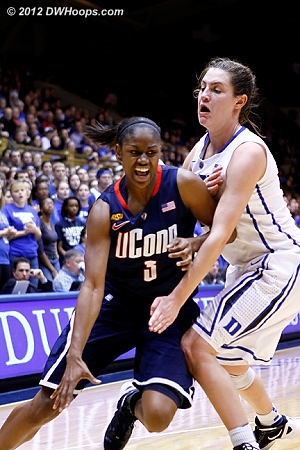 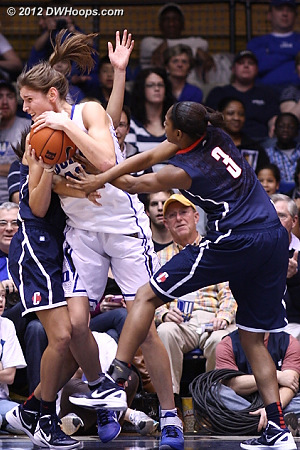 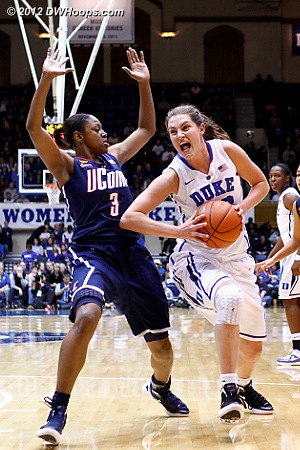 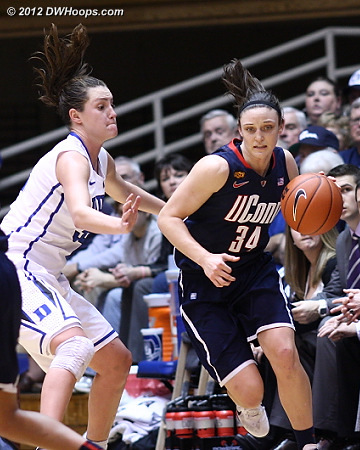 Gray can't stop Dolson, UConn leads 31-17 and Duke calls time out. 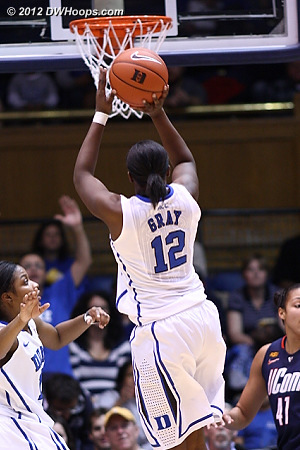 Gray whipped a no-look past to Williams so quickly that I was too late to get the shot. 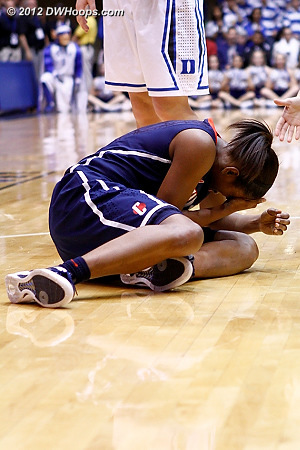 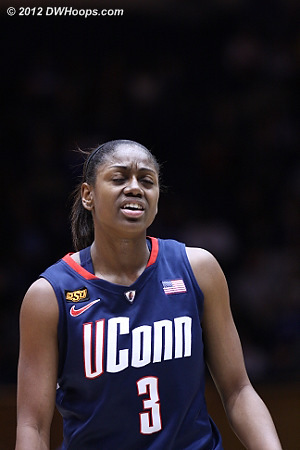 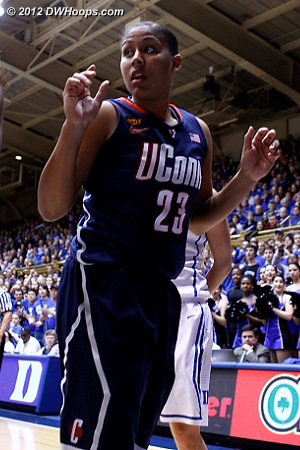 34-27 UConn. 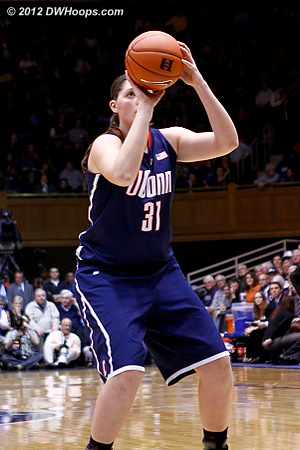 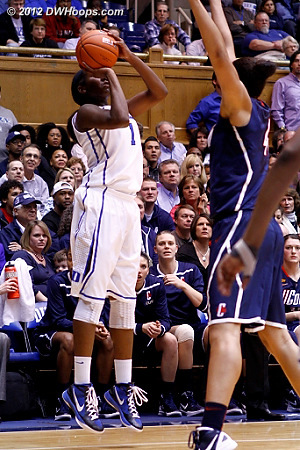 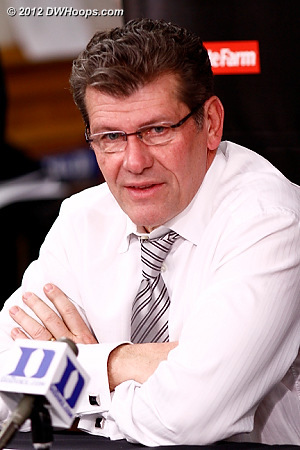 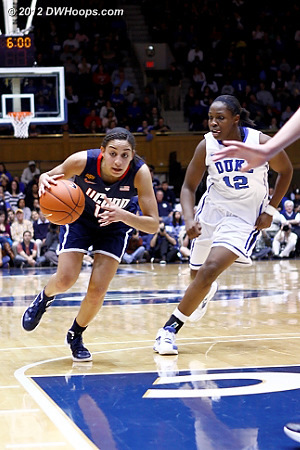 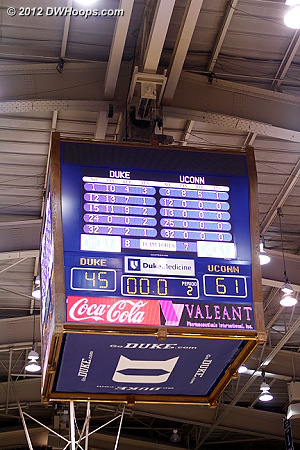 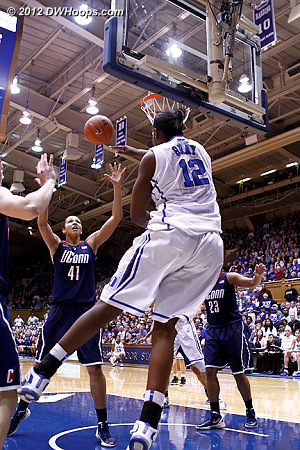 Williams made both free throws to cut the deficit to five, but Connecticut would respond with an 8-0 run. 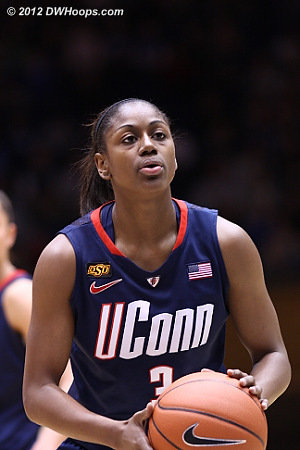 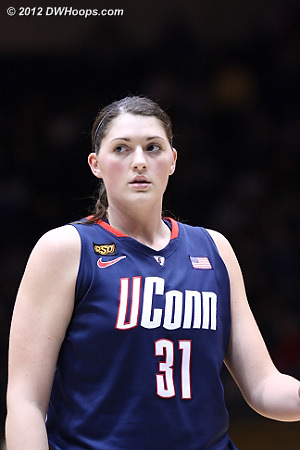 Hartley ends the scoreless drought for both teams, UConn now up 39-29. 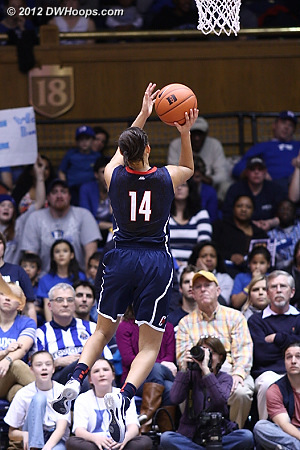 Stokes pushes Williams far enough out again to make it tough, and she misses. 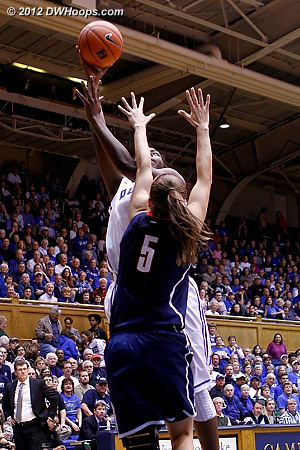 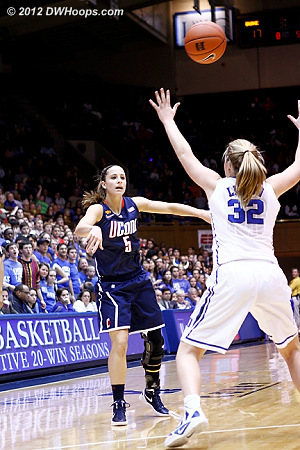 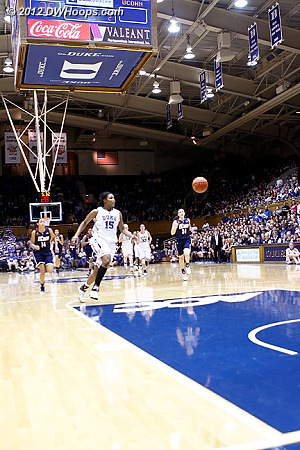 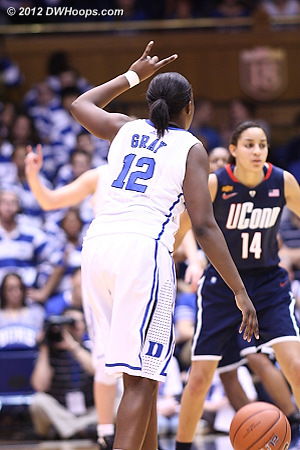 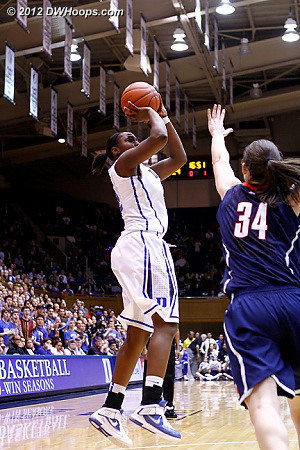 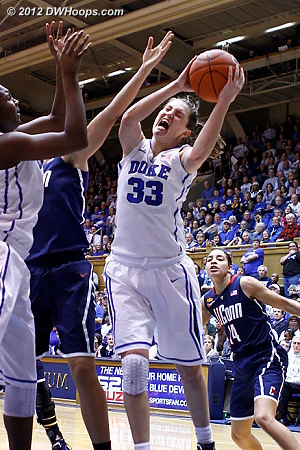 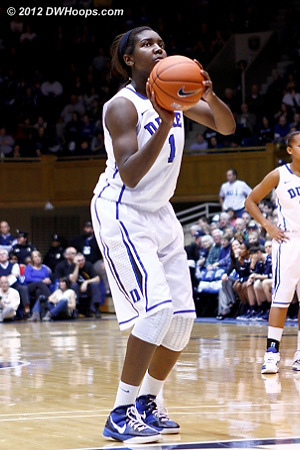 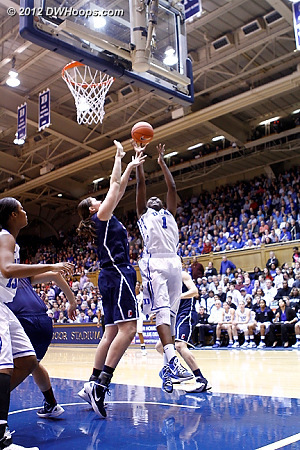 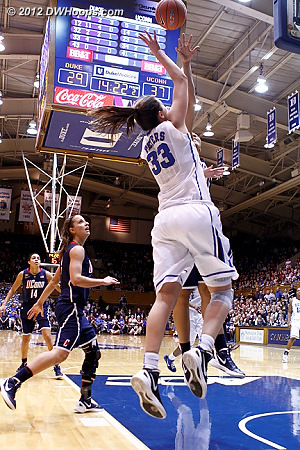 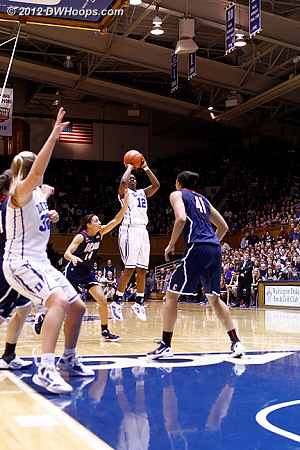 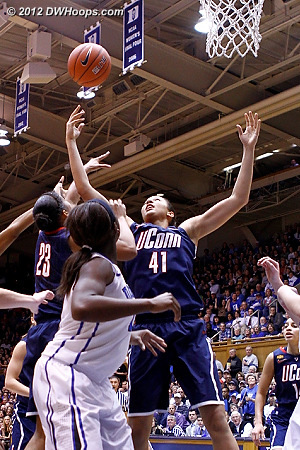 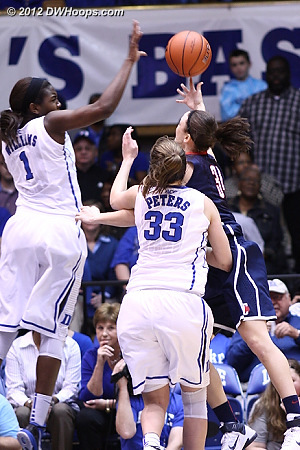 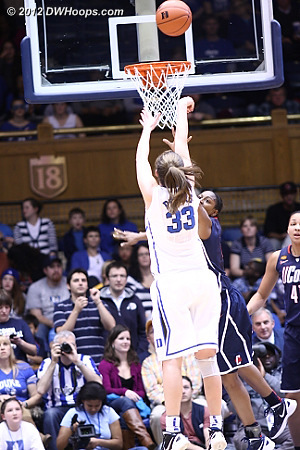 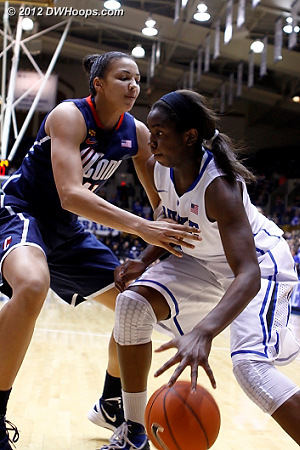 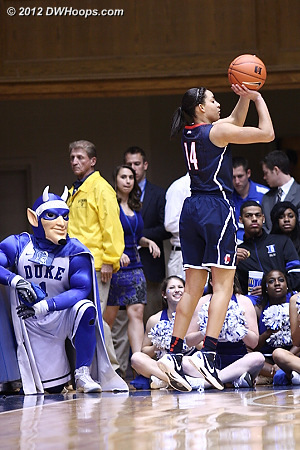 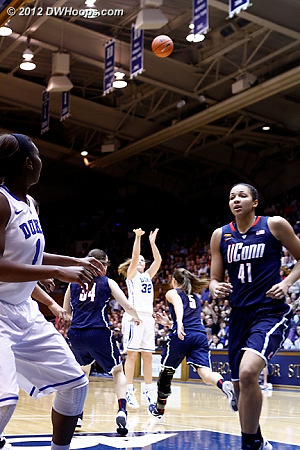 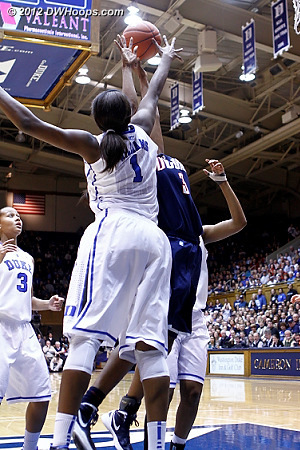 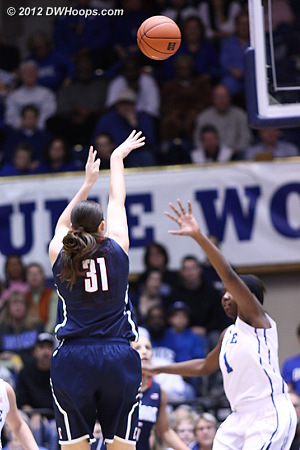 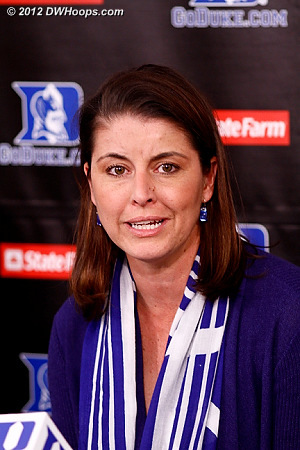 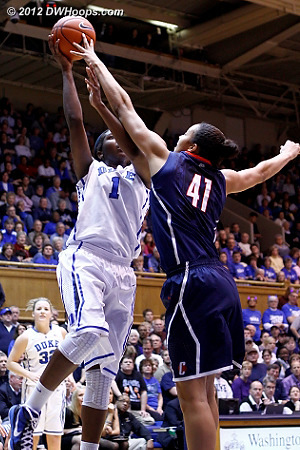 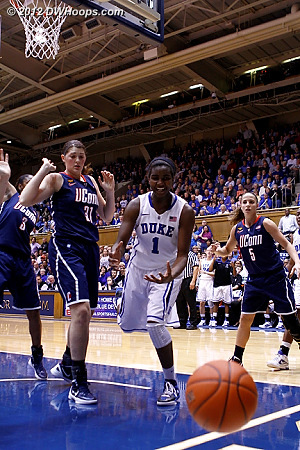 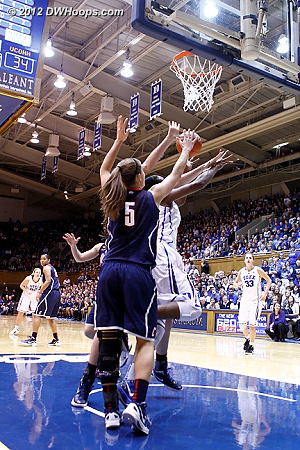 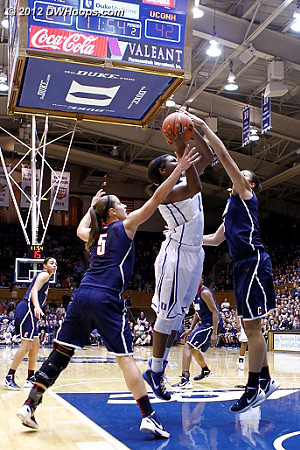 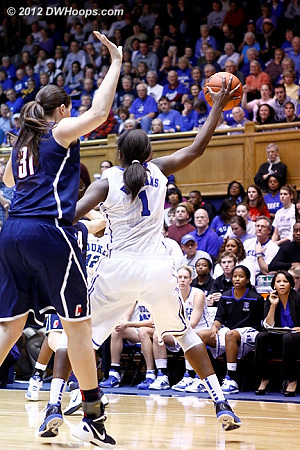 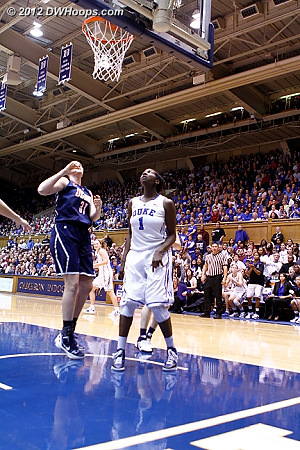 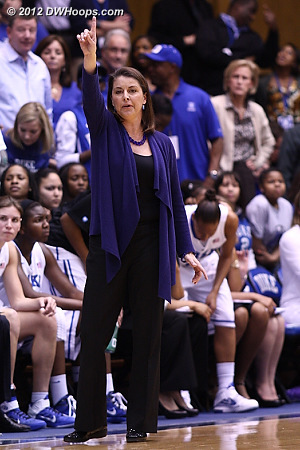 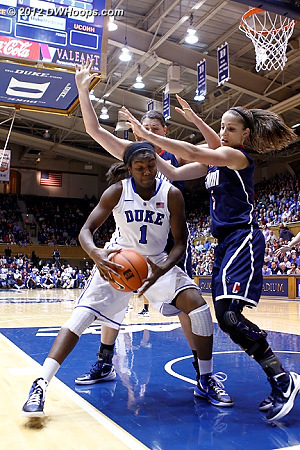 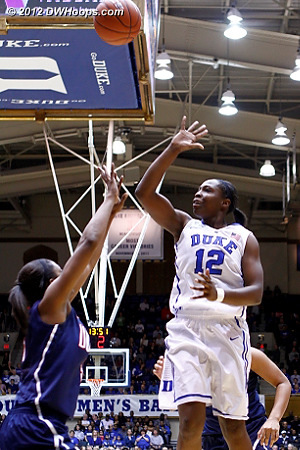 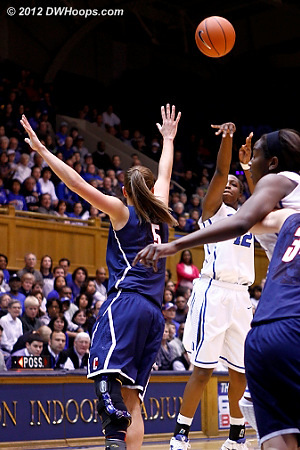 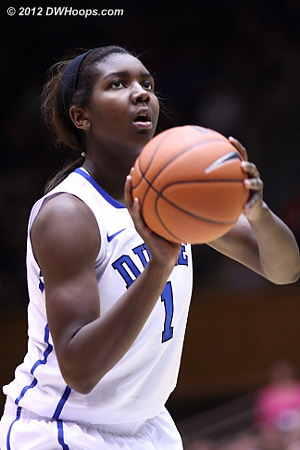 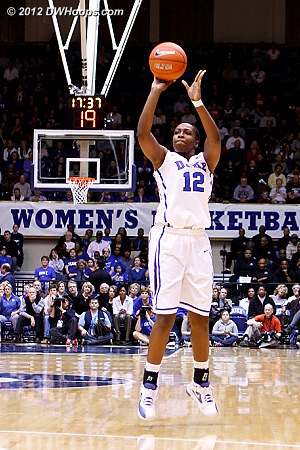 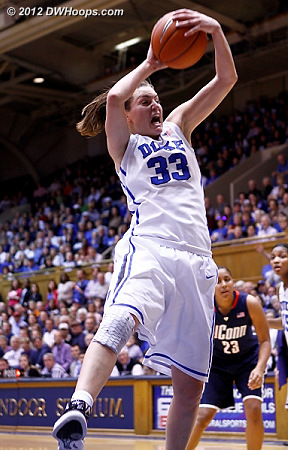 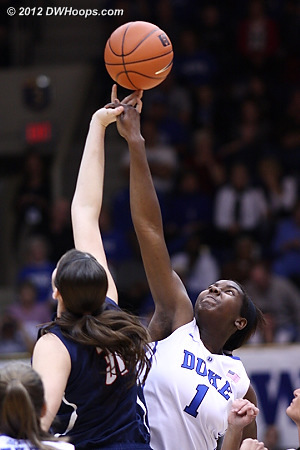 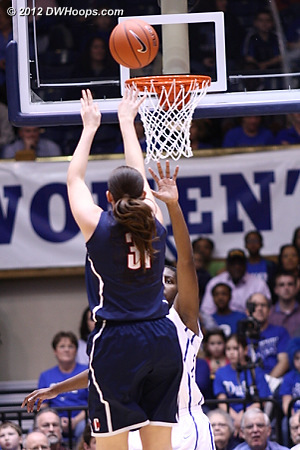 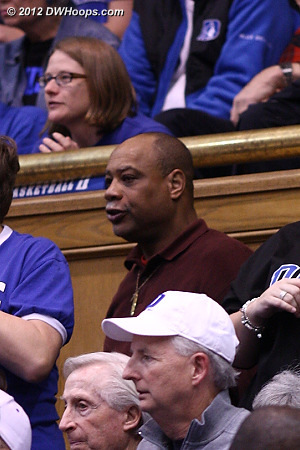 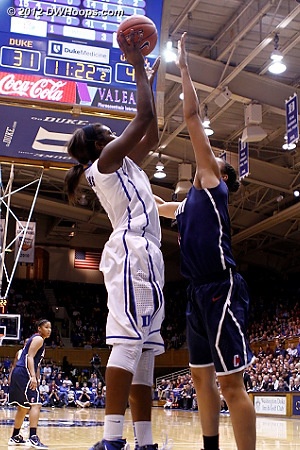 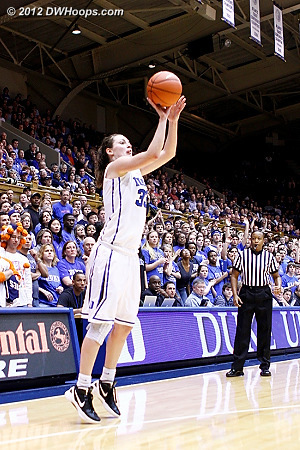 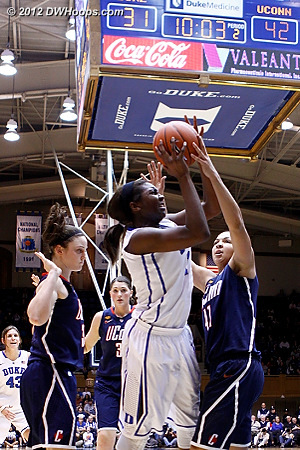 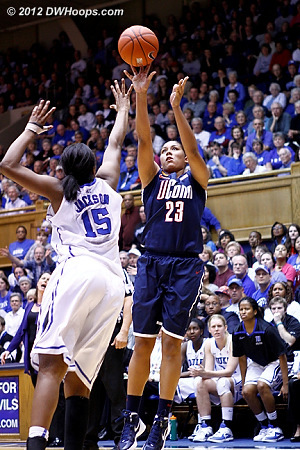 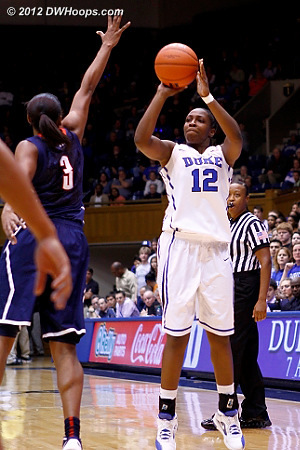 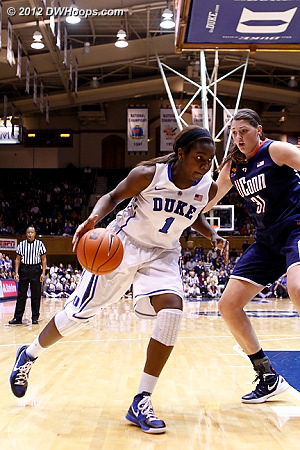 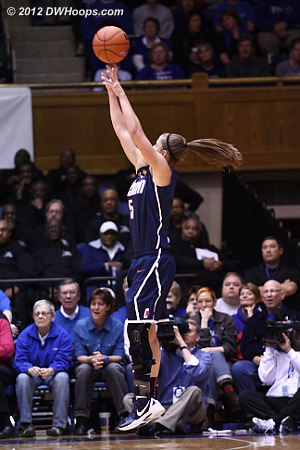 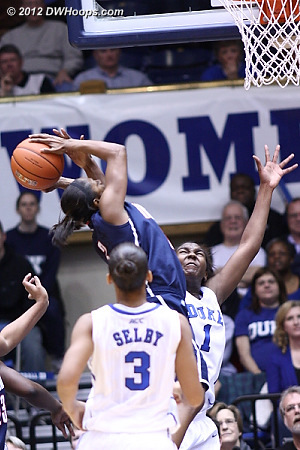 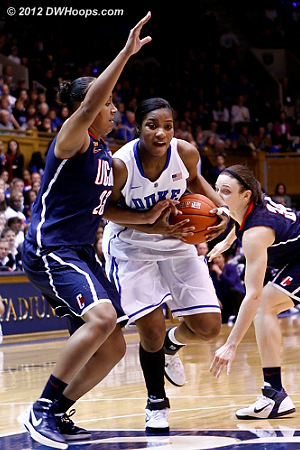 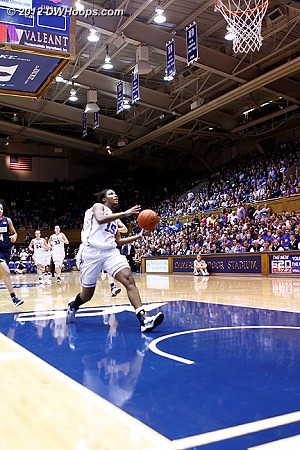 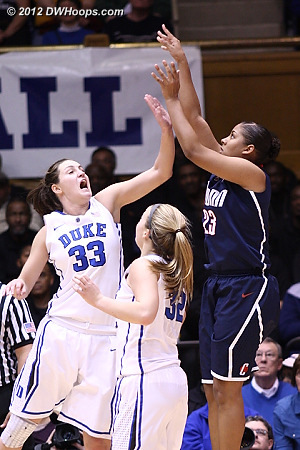 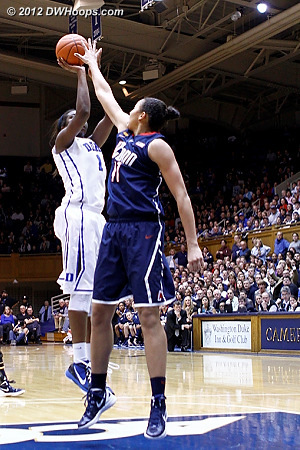 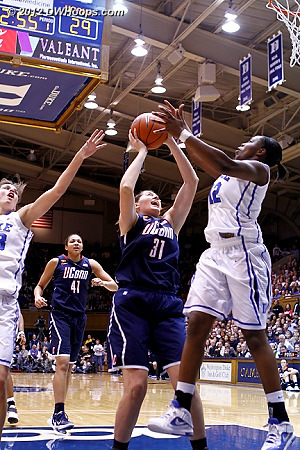 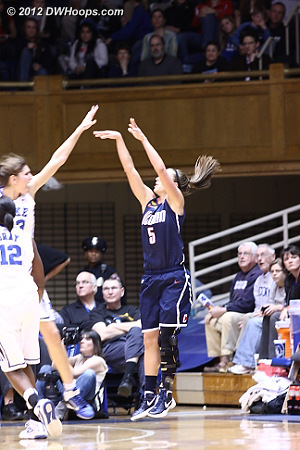 Haley made both free throws and Duke trailed 45-33 with 8:55 left. 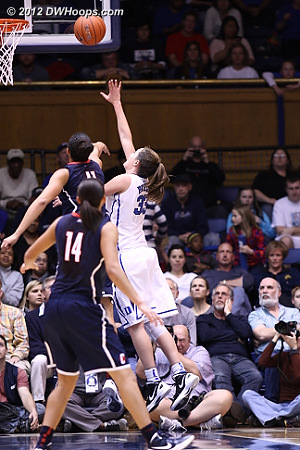 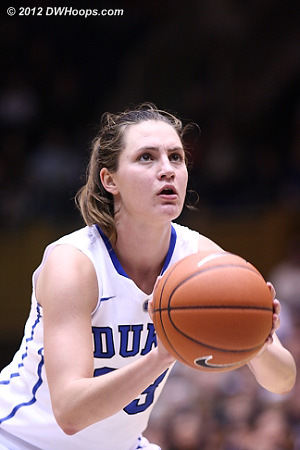 Haley Peters hits a wide open three with 5:59 left - Duke's first field goal since the 17:55 mark. 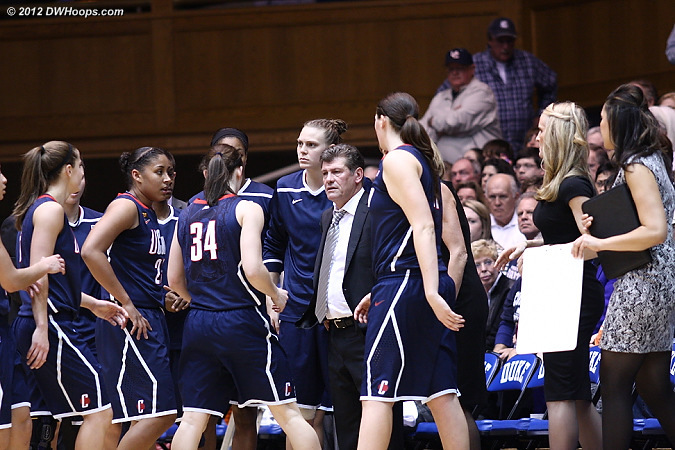 Coach P: "It's a great lesson for our team, a great lesson on what not to do offensively and how not to rush yourself." 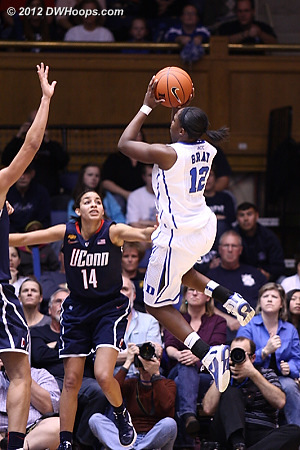 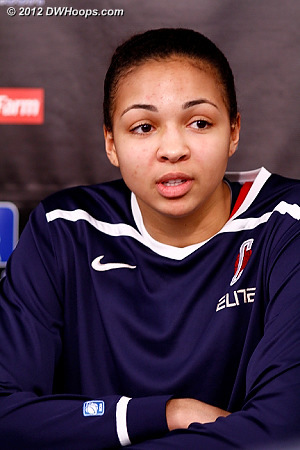 "The game plan was to make them the jump shooting team instead of playing in the lane. 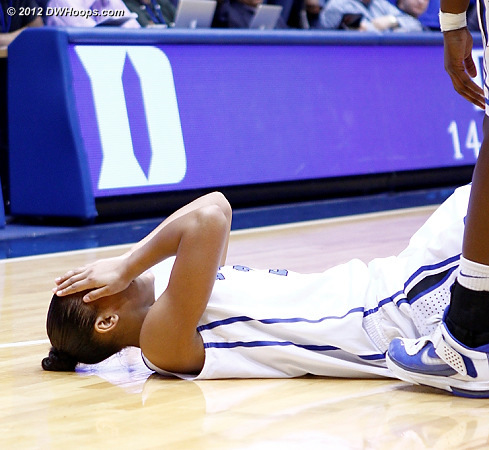 Once the kids took care of that, then I thought we had the game going our way." 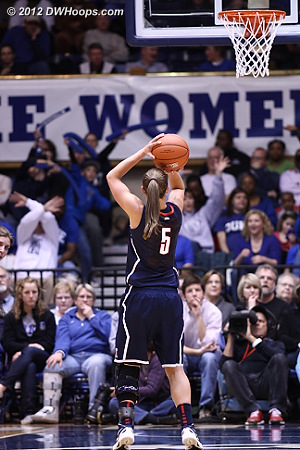 "Definitely the crowd was amazing, it wasn't for us, but the crowd was fun. 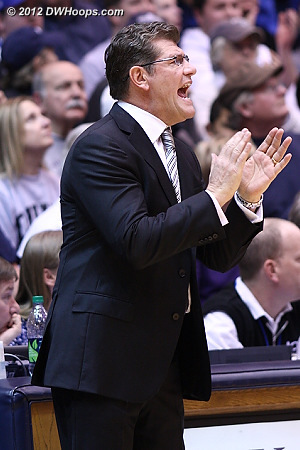 I think the team was amazing and I think we played well tonight." 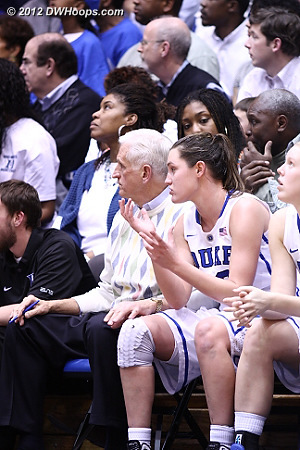 "I think it was just a great team effort."